then, scence moves to an Europol office, when Mika and her boss Ryan, figure about the connection between the assassination of several famous people with the money transfer which indicate belongs to Ozunu Clan. A clan which beliefs to be like a ninja training centre which bring orphan to a training to be an assassin. Raizo was one of orphanage that trained to be a successor in a clan, train by his master’s itself to be a assassin ninja.. short story Raizo have heart for Kiriko, also a student in the Ozunu Clan. Kiriko is quite different from the other her heart is soft, and due to it she plans to escape, and in the night of her escape whe asked Raizo to join, but Raizo refuses to join. Sadly Kiriko was caught by Ozunu clan, the execution of her was held in front others and executed by Takeshi -Raizo’s elder ninja brother- when the time of Raizo successes to execute his first task of assassination, his master asked hin to execute another traitor like Kiriko, in that moment despite doing the execution, Raizo attacked his master, then having battle with his ninja brothers. as I watch the movie… I scream almost every 5 minutes, since there were lot of battle which occurs lot of blood splash… and body apart scenes… hiyaaaaaah…. overall it’s really really a BOY Movie!!! so Man!!! 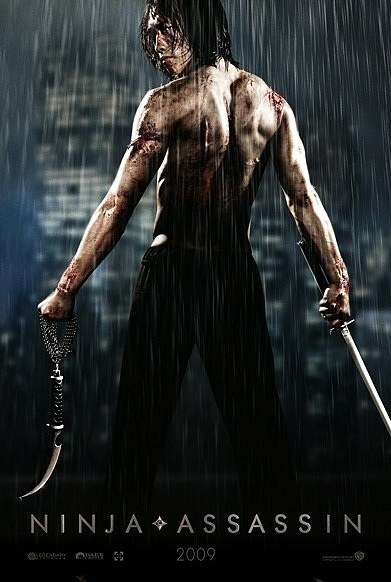 the martial art terrific, the effect superb!!! the blood splashes yiiaaaaaks… truly hieeeee….. the story ok!